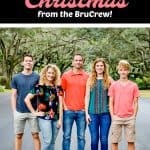 Today marks a huge life change for the BruCrew family. 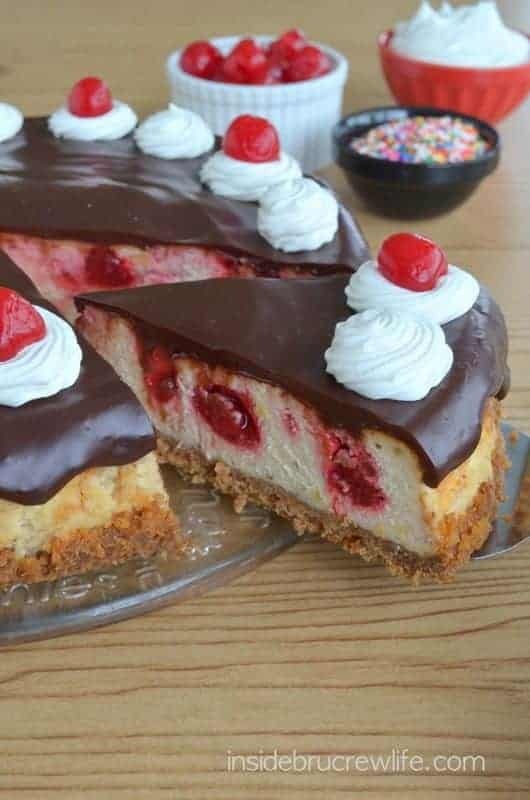 This post really has nothing to do with this Banana Split Cheesecake that is staring you in the face. Other than it is to celebrate this big life change we just made. Stick with me through this post…I promise you the recipe will be worth the read. My husband started his new full-time job today as an assistant pastor at our church. Over the past year, we have been making changes in our family to get ready to follow this dream and conviction. I know that God will provide all our needs, and we will be fine because we are following God’s will for our lives.It is going to be an adjustment to living with less. I am ok with this now. Honestly, a couple of months ago, I wasn’t so sure! Oh, I didn’t have any doubts about following my husband into ministry. We have been in ministry ever since we got married, so that wasn’t going to be a hard change. The hard part comes in giving up a very decent salary for a ministry salary. The materialistic part of me liked being able to buy whatever I wanted, whenever I wanted. I liked have good health and dental insurance. Over the past 14 years of marriage, we have been in different jobs with different pay, and do you know what? We have never been lacking. God has always provided just what we needed, when we needed it. It is amazing to me to look back over the years and see how much He has provided for us. One of my favorite verses is “My God will supply all of your needs according to His riches in glory in Christ Jesus.” Philippians 4:19 I am clinging to that as we move into this new position of life. How many of you do the one word resolutions? For the past few years, I have picked one word that I want to focus on for the year. I have been thinking for the past few weeks about what I wanted that word to be. And I kept coming up with nothing. Nothing jumped out at me…nothing seemed to fit just right. Until today at church. Today’s service was communion and what God means to you. We filled out cards with one or two words that describe what God means in our lives. As I sat praying and thinking, there was a video playing on the screen. A video that showed Jesus’ ministry on earth and how He amazed the people in everything He did. The word that kept popping up on different screens was the word AMAZED! That was it! That was the one word! The dictionary describes AMAZED as being filled with wonder; to cause amazement. 2013 is going to be a life changer for us big time. How do I see that word being part of our life? I want to be open every morning to being amazed by God’s unconditional love for me and for my family. I want to be amazed at how God chooses to supply our needs. I want to keep being amazed by my husband for giving up a high paying job because God called him to ministry. I want to teach my kids the amazement and joy that can come from being in God’s will, even when it means having less. Over the past year, I have been amazed as I stepped away from blogging as a hobby. This year I have started to look at blogging as a part-time/full-time job to help supplement my family in our new position. I love that something I enjoy doing has enabled me to pay some of our daily bills. God has opened so many doors for me with blogging, and I am excited to be amazed in what this next year holds. Without my blog, I would have to most likely work outside the home and maybe not be home for my kids during breaks. I may not be the most perfect mom all the time (hello, I have patience issues), but I want to always be available at all time for when my kids need me. Blogging is something that I enjoy doing, but at some point I knew all the time I was putting into it, would need to become a job with a real paycheck. I know that I have a long way to go before I consider it a full time job, and I am ok with that. Remember what I said earlier? God is going to provide what our family needs when we need it. I don’t have high aspirations of becoming rich on blogging, but I do want to provide for my family in a way that I love. And if that means it stays a part-time job, I am ok with that. 2. Learn how to use the Photo Shop Elements that has been sitting on my computer for a year. 3. Branch out a little and post some more dinner ideas. 4. Plan out a daily schedule for blogging and housework. 5. Eat more cheesecake. Ok, I just threw that in there to see if you had stuck with me through this long post. 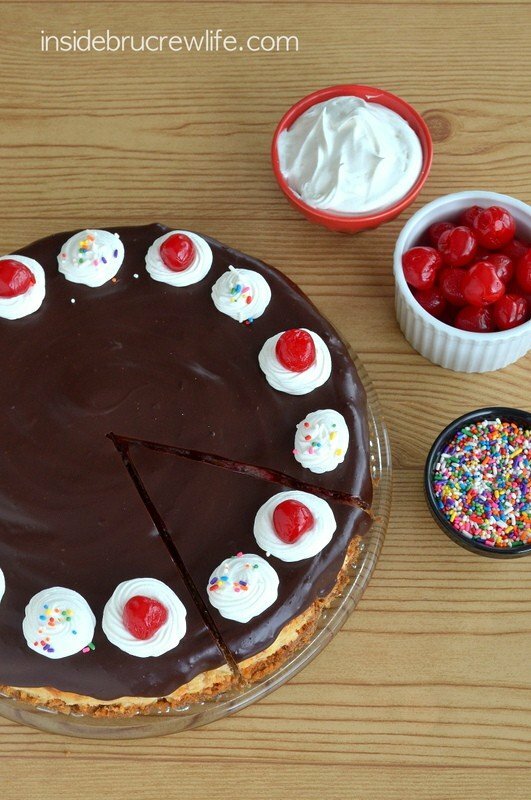 Ok, let’s get to this gorgeous banana split cheesecake. I think this just might have been the best one I have ever made. The key to this creamy cheesecake is baking it at a lower temperature for longer. Ok, for a lot longer. I was getting nervous that I was over baking it, but when we cut into it I was happy to see how creamy and perfect it was all the way through. The banana flavor was subtle enough to not overpower you, but it was definitely there. Let’s talk about the crust for a minute. Banana split is an ice cream flavor, so I decided to crush up some waffle cones and press it into a springform pan as a crust. You will either like it or you won’t . I liked the flavor that it added to the cheesecake, but my husband didn’t like the texture. I’m going to be honest with you here. I was hoping that the crust would be slightly crunchier, like a cone. But heating up the cones makes them a little bit softer. It will harden back up as the cheesecake cools, but not as hard as a cone. Feel free to substitute graham cracker crumbs if you think you won’t like it with the waffle cone crust. Personally I kind of liked it because it was different. And what better way to incorporate some chocolate into the banana split but with a chocolate ganache. Is there anything better than a warm chocolate ganache? I had to lick the pan clean after pouring it over the cheesecake. No way was I wasting even one drop of that deliciousness!!! Part of me thought about scraping some off, but I resisted that urge. What? You know you would think the same thing! I’m thinking that this would be a great end to a home made Valentine’s dinner for your sweetie. 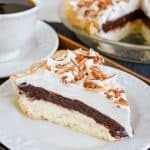 This creamy Banana Split Cheesecake is swirled with strawberry pie filling and topped with a chocolate ganache making it taste like the ice cream treat. Preheat the oven to 325 degrees. Place a large sheet pan on the bottom rack of the oven and fill halfway with water. 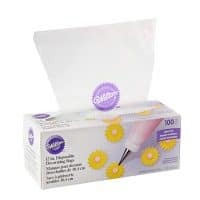 Line a 10-inch springform pan with parchment paper. Combine the waffle cone crumbs and melted butter. Press into the bottom of the prepared pan. Set aside. Beat the cream cheese and sugar until creamy. Add the eggs, vanilla, and flour and beat again. Stir in the banana puree by hand. Pour the cheesecake batter onto the crust. Drop spoonfuls of pie filling on top of the cheesecake and swirl gently. Bake for 1 hour and 40 minutes. Remove the cheesecake from the oven and place on a wire rack. Let cool 5 minutes, then run a knife around the edge of the cheesecake to loosen it from the pan. Let the cheesecake cool for 1-2 hours, then place the pan in the refrigerator for 4-6 hours or overnight. Remove the sides of the springform pan and place the cheesecake on a serving platter or plate. In a small saucepan, bring the whipping cream to a low simmer. Remove from the heat immediately and add the chocolate chips. Let it sit for 1 - 2 minutes. Stir until melted and creamy. Pour the chocolate on top of the chilled cheesecake and smooth it out letting some of the chocolate drip over the sides. Refrigerate until set. Garnish with Cool Whip, sprinkles, and cherries, if desired. Keep refrigerated. *You can substitute graham cracker crumbs if you don't think you will like the waffle cone crust. *This post contains an affiliate link. By clicking through and purchasing products, I receive a very small percentage of sales. Free links like this help me keep this blog going. It will definitely be an adventure and probably very nerve wracking, but I’m confident that it will all work out! Did you post your banana split cheesecake? I would love to check it out!!! Can’t wait to hear more about your family’s new direction!! So I just popped over and I do remember that cheesecake…haha I even commented on it then. It is still just as gorgeous!!! Congratulations on the big changes Jocelyn! It’s so hard to make such a big change, and I know you can do it. Love the word resolution, and the blogging goals too! And…waffle cone crust. OMG – GENIUS! It is definitely a big life change, but we know it is where we need to be at this time. Thanks for your support! The plug in is called Top Posts and Pages. I thought it was supposed to only be on the side bar…but surprise it is in the post too. I’m still trying to decide if I like it there. I’m so excited for you and your family as you embark on this new adventure! I’m amazed by your faith and trust in The Lord! I know He will provide for you all! I will keep you all in my prayers as you make this transition! I’m going to blogher food too! We will definitely have to meet up! 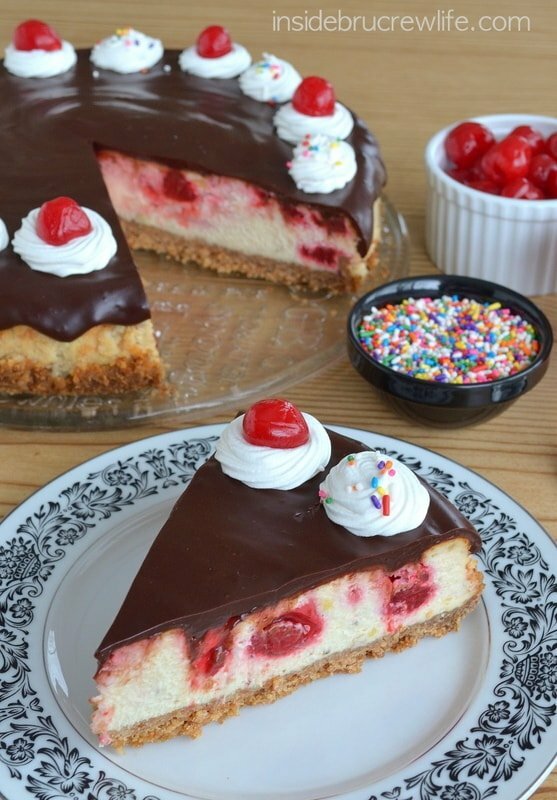 🙂 and this cheesecake looks wonderful!! Thank you so much for your sweet comment and your prayers. I appreciate that so much! And, YES we need to meet up at BlogHer…that would be so fun!!! Good luck with your new adventure! We live on a small income, but we are blessed and always have our needs met. I am home with our kids and no amount of money could make me change that. P.s. Amazing cheesecake! I think we appreciate things even more when we have less. Hopefully that is one of the lessons we can teach our children too. 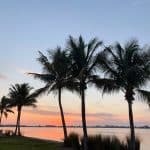 They have gotten spoiled over the past few years and it is something my husband and I have been wanting to change in their lives. You are right. He will provide. Good luck! Thank you!! He always does, doesn’t He? Awe thanks girl!!! I can’t wait to see where He leads us too!!! And vacation adventures…hhhmmm what do you have in mind? I’m thinking anywhere I can get a tan! Congratulations on the big changes ahead. I know that your family will be stronger for them! 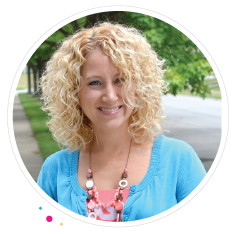 I love all of your blogging goals, too…especially the “go to a conference” one, since I get to meet you! Oh, drooooooling over this cheesecake! Thank you so much for the encouragement Ashley! And I can’t wait to meet you in June…it is going to be soooo much fun!!! Congratulations and best of luck! We have talked to our own pastor about the challenges of living in a high cost of living area on a small income. It is a huge challenge, but can also be very rewarding! We have a small, tight-knit community and our pastor is one of our most favorite people! I have a stomach bug and feel awful but I so want to make and eat this right now. 6am. I think I will make it for Friday shh don’t tell anyone. Also, wishing you the best pin your new adventure. Thank you. I sure hope you are feeling better now. Stomach bugs and cheesecake isn’t the best mix I’m thinking!! I can’t wait to hear what you think of it though!!! The cheesecake looks amazing! 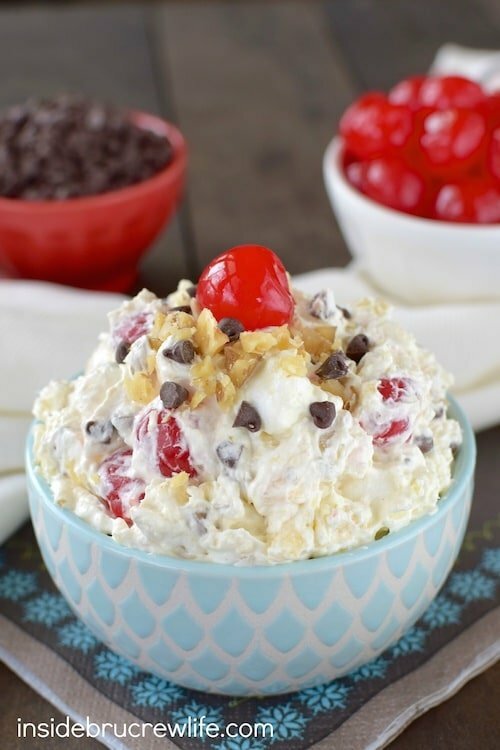 My husband loves anything banana split so this will be a hit at our house. Thanks so much for sharing at Mix it up Monday! You are so right. The hardest things are what make us the strongest! I love all things banana split too!!! Sounds like 2013 is going to be a great year for you and your family, Jocelyn! Looking forward to sharing it with you through your blog 🙂 BTW, the cheesecake looks wonderful….to bad I didn’t live closer! I wish you were close enough because I would definitely share some with you 🙂 It is going to be a great year, and I can’t wait to keep sharing it here!!! 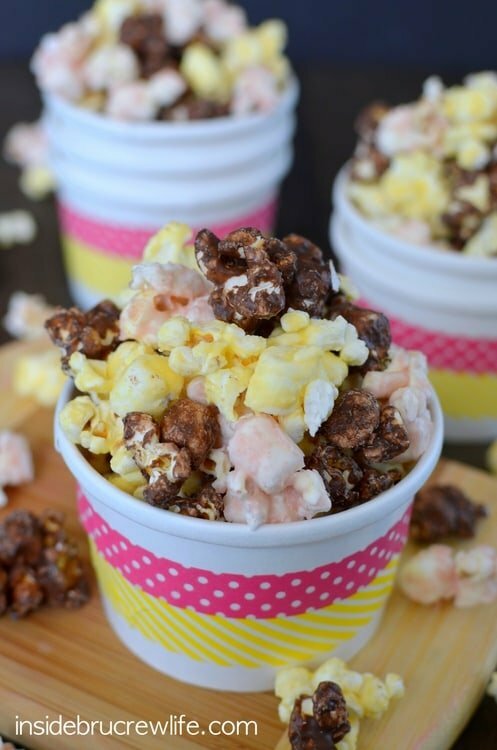 This not only looks yummy, but it looks like a lot of fun! (I read the post after my last comment, so now I have more to say!) Good luck with the new family adventure! It sounds like it will be well worth it! I hope your blog goals work out, too. I think one of my goals needs to be to eat less cheesecake (instead of more)! 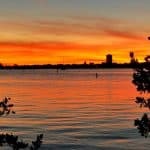 I really enjoyed your post! You inspired and touched me with your sweet testimony and one-word resolution(I like that idea)! God bless you and your family in the new year…sometimes living with less “things” sounds liberating:) BTW, your cheesecake does look amazing! Thank you so much! I am glad to hear how much you liked the post. I don’t put that much personal stuff out there that often so it means a lot to know you enjoyed it. Less is definitely sometimes more. Thank you so much Sally. That means so much to me. And cheesecake should always be on our list!!! 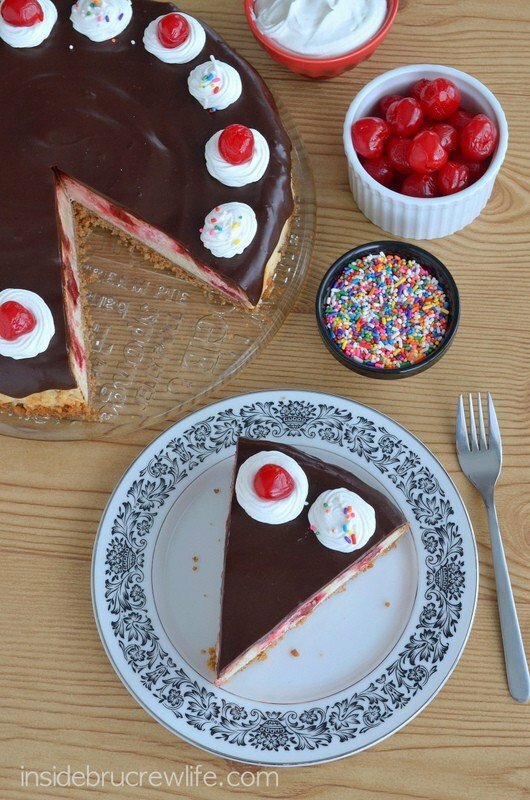 I am AMAZED with this yummy looking Banana Split Cheesecake and it’s so cute! I found you over at Couponing & Cooking 🙂 Good luck with things. 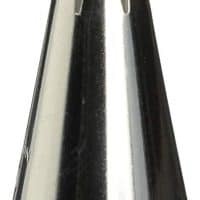 A waffle cone crust? Genius! Congratulations to your family on your husband’s new path! Thank you and yes, it was a fun new twist for the cheesecake. Congratulations to you and your family on the new changes! It doesn’t happen often enough in life that we get to follow our calling! 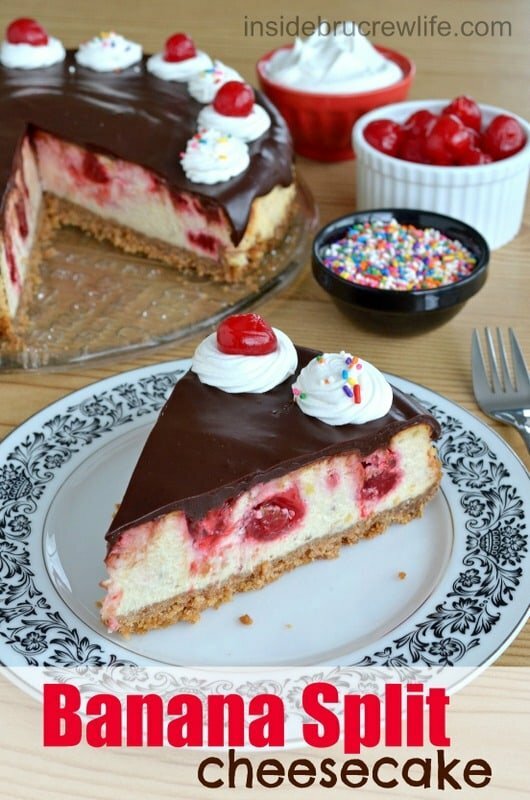 And this cheesecake looks beyond amazing! Yes, I think sometimes people either don’t have the option or don’t take the option to follow in their lives. We are excited for the next phase of life!!! what an exciting new adventure for your family! It will definitely be an adventure at times I’m sure, but we are trusting God to provide every step of the way!!! I think it’s a rare individual who can leave something comfortable and step out do what they believe they are called to do. Hats off to you husband for listening to the call and hats off to you and your children for supporting him. It seem you and your husband both found your calling! You calling being cheesecakes! And this amazing blog. Thank you so much Tanya. We are excited for this new adventure!!! This looks so delicious!! 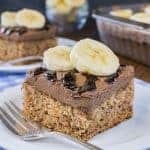 Anything that combines bananas and chocolate makes my mouth water. I am with you…I love everything chocolate and banana!!! Thank you for your testimony – many blessings to you and your family as you begin this new phase. God is good … all the time! Thanks for linking up at Show Me Your Plaid Monday’s! Good luck to you and your family on your husbands new career move! I can’t wait to meet you in June! It’s going to be like ONE HUGE SLUMBER PARTY!!!! Woo Hoo to meeting in June…I can’t wait! Definitely one big slumber party. WOW!! That looks totally amazing!! Oh my! This recipe looks so good! 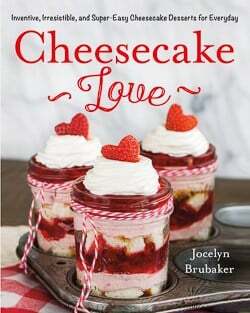 I love cheesecakes, I need to make this soon! YUM! 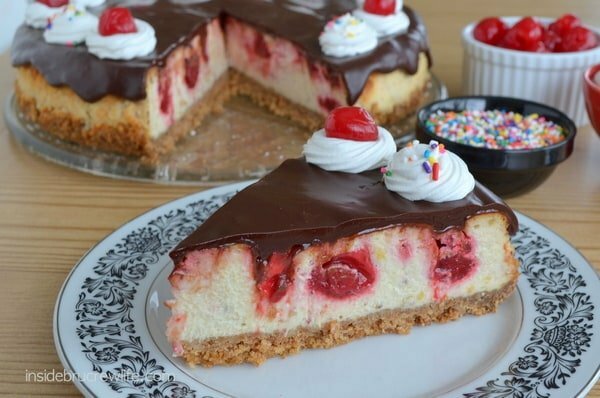 This is a wonderful looking and sounding cheesecake! You should pimp it to Cheesecake Factory! Good luck with the life changes. And I’m with you on #2! I’ve used Elements a few times, but I am so much more comfortable with Picasa, I turn to that when I am in a time crunch (which is everyday). Thanks so much for linking up at Two-Cup Tuesday! See ya again next week! It’s called a leap of faith for a reason. Just keep trusting God, he’s always been there for me. Oh and eat more cheesecake, it really does help. When you figure out Elements, let me know. I use it but I know I’m missing out on all the really cool stuff. It is so pretty…think that would keep me form eating it…no! This site looks delicious and so does this cheesecake. Blessings for your new adventure- God is great! It is so amazing, all the things God has planned for you and you family. Can’t help but get shivers of excitement for you. I believe you will all exceed your wildest dreams with faith in God’s love. love the cheesecake!!! my favorite food!!! Freaking. Out. You have outdone yourself, this is a cheesecake masterpiece! this cheesecake has me amazed! and anything that brings you closer to God will be worth it and is far far better than any amount of money you can get 🙂 i wish you all the best! Thank you so much! I couldn’t agree more with what you said. I appreciate your comment so much! Congratulations on the exciting new changes, Jocelyn! Sounds like you have quite an amazing adventure ahead. =) And you know what else looks amazing? This cheesecake! My banana-loving husband would adore this!! Thank you so much Amy. We are excited to see what happens this year!!! Bring on the adventures! This cheesecake is just ridiculous. In the VERY best way possible 🙂 I love your goals for this year and reading through your post and your family’s commitment to God’s will was inspiring. Thank you for sharing! Congrats on the new job for your husband. That’s so exciting for your family! And, I think everyone’s resolutions should include “eat more cheesecake.” Because, DUH. Thanks for linking this up to What’s Cookin’ Wednesday! Thank you so much Karly. We are excited to see what happens next. And eat more cheesecake should always be on the resolution list for sure!!! Could you use mashed bananas instead of the purée? I bake all the desserts for our local Lutheran High School’s Dinner Auction so I was looking for new inspirations this year. I brought up your page because of the cheesecake, but God used it as a reminder to me during a busy Easter week. We too are facing changes in our life with a move, change of job and schools, etc. You repeated what I have found to be true my whole life -God will provide abundantly above what we need! He has blessed our family so much. We made a decision that I would not seek work outside our home while we raised our children. Our youngest has only two years of high school left (and we had four so one is already finished with college). Wow, be amazed how fast time goes! I pray that the Lord of Love will continue to amaze you with his love and grace all your days! I would love for you to link up to my TGIF Link Party! Who knows, you just might be featured next week! So you put a pan of hot water underneath? Not a water bath? Yes, I always put a large baking sheet with hot water on the rack under the cheesecake. Jocelyn, I especially enjoyed reading this post. If you are in God’s will, He WILL supply your needs. I cannot wait to try this cheesecake! I may make it for the next supper club I sponsor. Thank you so much!!! God definitely provides for us every single day. I hope you enjoy the cheesecake! I am going to try and make this tonight. I never made cheesecake before. I don’t understand the pan of water? And when do you actually take it out of the pan? The pan of water is just an extra cookie sheet with hot water in it that sit on the rack under the cheesecake. The steam from the water helps keep the cheesecake from cracking. I leave the cheesecakes in the springform pan until it has chilled completely which is usually no less than 4 hours in the refrigerator. I hope that helps. Let me know if you have more questions. Thanks so much! and one more question – when you pour the chocolate over the top, do you remove it from the pan first? Yes, I take it out of the springform pan before adding the chocolate glaze. 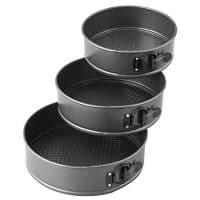 Can I turn these into cupcake liners instead of the springform pan? Congrats on your husband’s new job and to you both as you start this new ministry together! So exciting! My husband switched from pastoral studies in college to engineering. We’ve been youth leaders for the past 16 years together, but in the back of his mind is always that thought of some day becoming a pastor. Haven’t taken that plunge yet, though:) And…I stopped over because I knew this cheesecake would be a great Valentine’s dessert for my hubby! It looks fantastic! Looks delicious! Sharing on fb today! Here in Ireland, we do not have pie filling in a can, however, we do have strawberries in a can. Would that work? Would I need to thicken it? Congratulation on your awesome new life change. Praise God for your husband’s calling to the ministry. Thank you so much 🙂 Are the strawberries in juice? If so, yes you would need to thicken them up some. Here is my recipe for homemade strawberry pie filling also. https://insidebrucrewlife.com/2014/03/homemade-strawberry-pie-filling/ I hope you enjoy the cheesecake! Being the wife of a full time music minister I totally understand all of what you are saying! Congrats and welcome to the journey! Don’t know how I missed this in 2013 ! 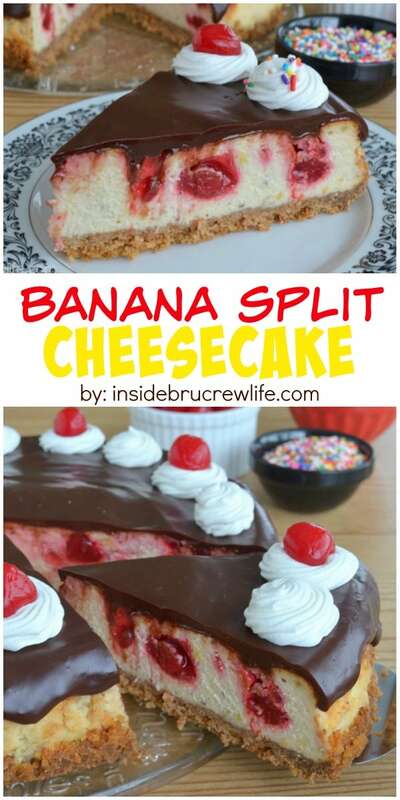 I love cheesecake, but not bananas…how can I make this and omit the bananas ? Any suggestions ? 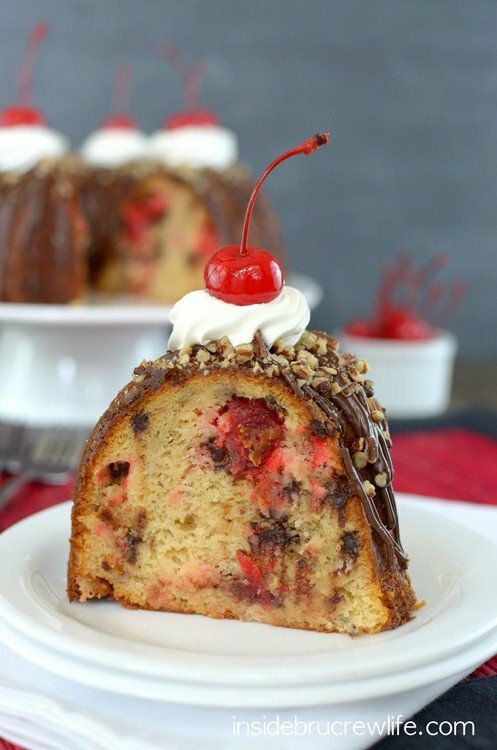 I like all your recipes minus the bananas…..the bundt cake looks wonderful too…..
You could make it and just leave the bananas out. I would probably add 1/2 cup sour cream to it instead. Most of the time there is so many sweets in the house that my family doesn’t even notice when I give stuff away. LOL! Did you get my comment ? I did 🙂 I answered, but then changed my response after I posted. Did you get it? No, sorry did not get it…. I commented here…not in an email. Love this idea! All the best things put together! Looks amazing! My store doesn’t carry strawberry pie filling. 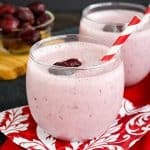 Can I substitute cherry pie filling? Yes, cherry pie filling would work just as well. I hope you enjoy the cheesecake!